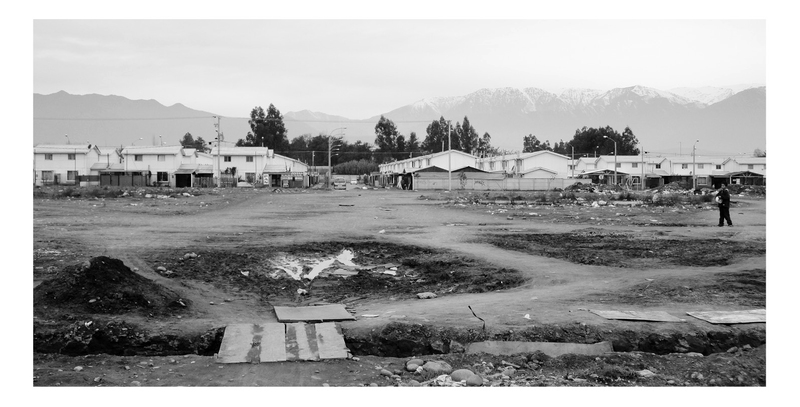 After thirty-three years following the market trends and with extremely limited state support, social housing in Santiago de Chile is in crisis. This is mainly rooted in two problems: policy making and minimum standards. The first has led to the complete privatization of social housing, in which the government promotes the action of the private sector through a differentiated subsidy system. The second ensures the subsidy profitability to the developer and the cost of the land is made affordable by providing a sub-standard of the minimum dwelling, meaning the reduction of built area and the necessity of a future extension, contingent to the inhabitant’s economic success. Under the neoliberalism of the last decade, low-income groups have been moved from the periphery of the city to several isolated and impoverished semi-rural areas. The new settlements were formed outside the city because of the high cost of inner-city plots. Social housing became thus deprived of adequate infrastructure and disconnected from the city centre. Generally, the city centre however is the largest source of employment, services, and social diversity, understood as parts of the urban essence. 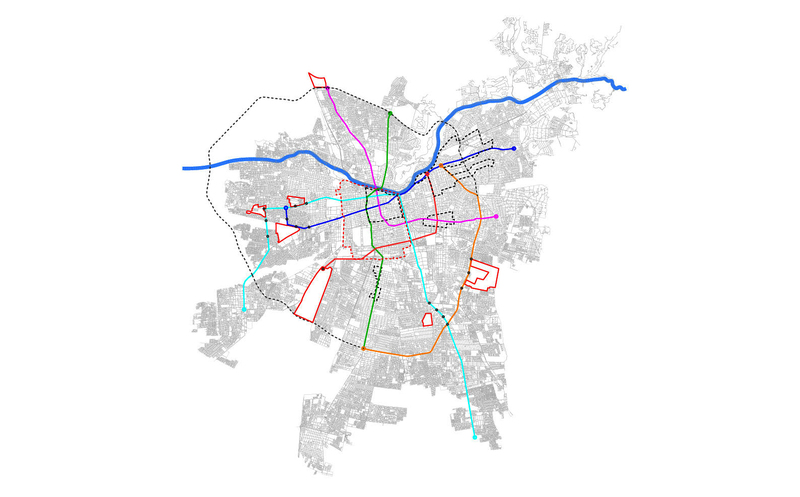 Due to the failure of the social housing, the whole of Santiago has undergone a significant scalar shift from a compact, limited city to a vast and disjointed one. The housing-subsidy-substandard logic has limited social housing to a row housing configuration. This is the only type deemed able to deal with the constraints of the private market; but is unable to include or work together with other programmes and types. Hence, low-income housing has become a simplified scheme. But its substandard and repetition allows more individuals access to housing. The proliferation of the housing units, however, does neither consider the larger group-form nor the urban isolation it produces. This reinforces the idea of sub-standard, impoverished, and excluded settlements instead of creating and locating social housing in well-equipped and appropriate centralities. This is the problem that this dissertation wants to address. Based on the different social housing issues described, the research question is: What kind of standards are necessaries to strengthen the relationship between social housing and the city, and how could this affect policy making? In relation to this question I would like to explore two main problems: How can social housing settlements form centralities and what kind of relationships with the city centre should they have? 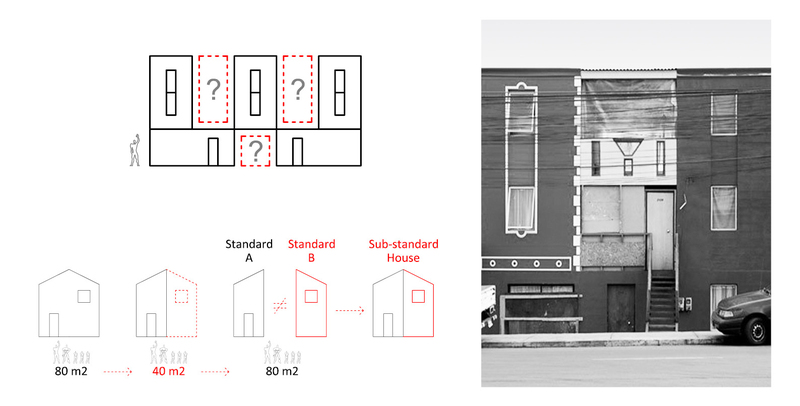 What are potential new social housing types that will overcome the limitations of the current row house model? 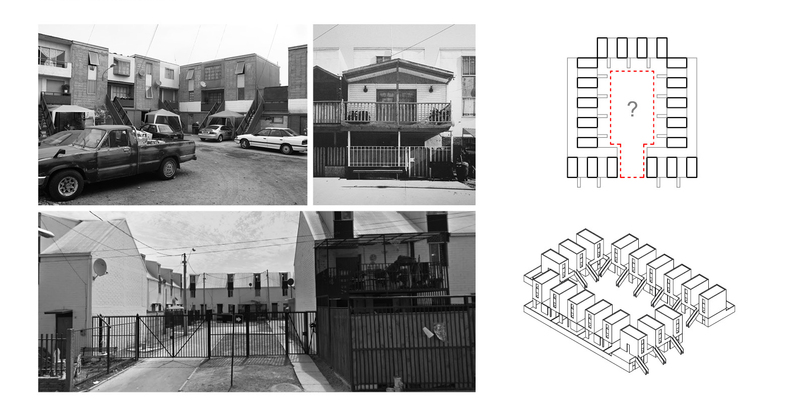 This research intends to demonstrate through the creation of new centralities within the city that it is possible to conceive a different solution to the interdependent problems of social housing and urban core. In order to achieve this, a new housing procurement will be explored, incorporating stakeholders from non-profit institutions, creating specific associated programmes, and providing new typological mid-to-high-rise solutions. 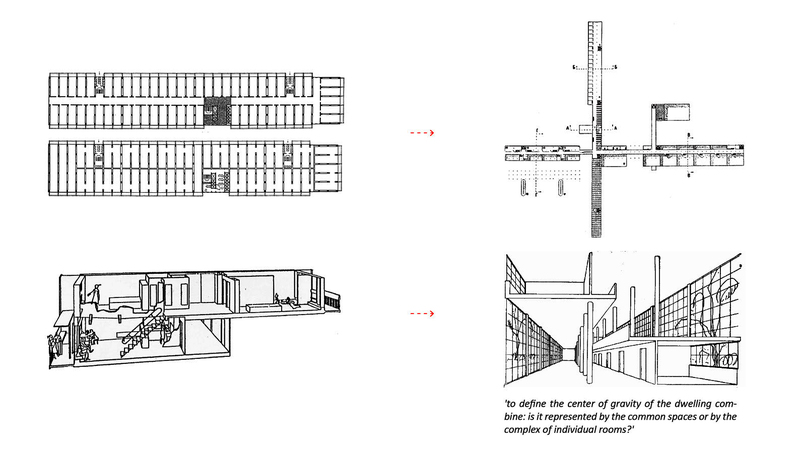 The aim is further to define a new social housing standard, one that is not merely understood as a problem of efficiency and scale of size and repetition of the dwelling unit, but as a larger urban configuration capable of redefining proximities and relationships between urban fragments. Thus, social housing will be considered an engine for the agglomeration of a diversity of buildings and individual interests, leading Santiago towards the notion of polycentrism as a new possibility of development. Since the introduction of social housing as a concept and type during the late nineteenth century, it is possible to understand its implementation and proliferation according to four models. The first one is based on morality, with the provision and procurement of social housing driven by the Catholic Church and charities in peripheral enclaves of Santiago’s centre. 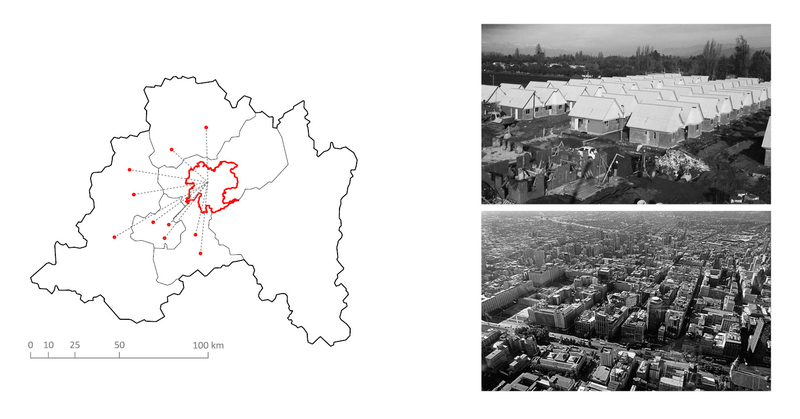 Inspired by the first model, the second one consists of the creation and implementation of a social housing policy, with the state mainly responsible for the provision of social housing, which is located within the urban core and made possible through a densification strategy by high-density types. The following model is a completely different political-economic paradigm and based on neoliberalism during Pinochet’s dictatorship, thus, the state support is almost inexistent and the provision of social housing left to self-regulation and the private market. Finally, with a return to democracy in 1990, the current fourth model solves the lack of housing provision through mass-production and a compromise between state support and neoliberal policies (through an indirect subsidy system), which allows the state to support individual house ownership at a low-income level within a neoliberal housing market. ‘Any of us in a middle-class family can live reasonably well in a house of between seventy and eighty square meters. But what if there is not enough money? What if there are insufficient private savings or access to a mortgage or public subsidies to pay for a middle class-standard? For Elemental Architects, a group that has a large influence on the discussion, comprehension, construction, and creation of both social housing policy and definition of standards, social housing should not be understood as a permanent state of scarcity and efficiency of minimum resources, but aspire to achieve mid-income housing standards. In other words, it needs to allow social mobility to overcome poverty. Thus, they seek to rethink the problem of social housing by understanding it as a transitional stage, rather than in terms of social conditions and certain housing types. Following this logic, Elemental reinforces the idea of embedding social housing within the bases of neoliberalism, transforming and incorporating it as an object of the market. However, in order to meet the aspirational middle-class standards, social housing has to achieve two things: more generous built area and better location. Unfortunately, the idea of achieving a desired middle-class standard by first providing half of an adequate-standard house has proven to be ineffective. In fact, the first thing that Elemental’s inhabitants do, once they receive their houses, is to extend regardless of lacking economic resources. Hence, the immediate outcome of this two halves scheme is a failure at the individual housing scale: it provides half a house at minimum-standard, which does not even meet the aspired middle-class standard and is only similar in size, and another half-house with no-standard (poor), which depends on the inhabitants finances and most of the times permits a construction far from an adequate standard. Thus, the idea proposed by Elemental can be defined as an overall sub-standardization of the new minimum dwelling. In regards to the necessary profitability and the question of location, Elemental responds as follows: ‘All of us when buying a house expect its value to increase over time. That is why a house, almost by definition is an investment.’ According to this model, housing can be used to ask for loans which could help poor people to start a small business, to pay for better education and even enable social mobility. Furthermore, they state: ‘Given the huge impact of location on value appreciation, value gain also reflects that the house was very likely placed in a well-served, safer neighbourhood, with better access to services and less distant from work and study, and as a consequence with less time spent on transportation. Value appreciation is the most direct way to measure the quality of housing; value appreciation is in fact a redefinition of the notion of quality, conventionally associated with size and material solidity.’ Undoubtedly, the possibility of increasing value to low-income housing over time and understanding the provision of social housing as an enabler of social mobility seem an interesting strategy. However, the theory is entirely based on the speculation that the inhabitant’s will economically be success in the open market. Thus, what happens if they fail or if there are more issues than the provision of housing that impede their economic success? What happens if market trends change unexpectedly direction? The answer seems to be that, under the current social housing policy, low-income groups need more ways of support. In other words, the market will never provide all the necessary support that low income groups need, therefore, the answer to this problem cannot emerge simply from a smarter way of distributing the housing budget and leave its implementation entirely to the private sector. The partiality of this statement reveals something extremely contradictory and points to the root of the problem of social housing: if density is the key factor to make the land cost affordable, low-rise is the least adequate solution. Although some problems of mid- and high-rise types are well known, related to lifts and vertical circulation (such as maintenance problems, operational costs, the proliferation and abandonment of elevated streets, among others), they should not be disregarded. Instead they should be rethought, as they achieve higher densities and potentially more expensive and better locations. The main outcome of Elemental’s design brief is a re-interpretation of the traditional row house as a new social housing type, called by the architects parallel building in reference to the in-between spaces created by the detached half-houses. The parallel buildings are organized within the plot by forming a cluster around a private space. However, the creation of an internal-communal space is rather paradoxical and has a long history of failures that goes back to the modernist housing schemes built in Santiago. It is furthermore contrary to the design brief and can be read as a hall due to its condition of preceding and organizing the access to the dwelling units through a centralized space. However, instead of defining this space as a proper hall, it is in reality a parking space that is easily appropriated by further, unplanned private extensions. 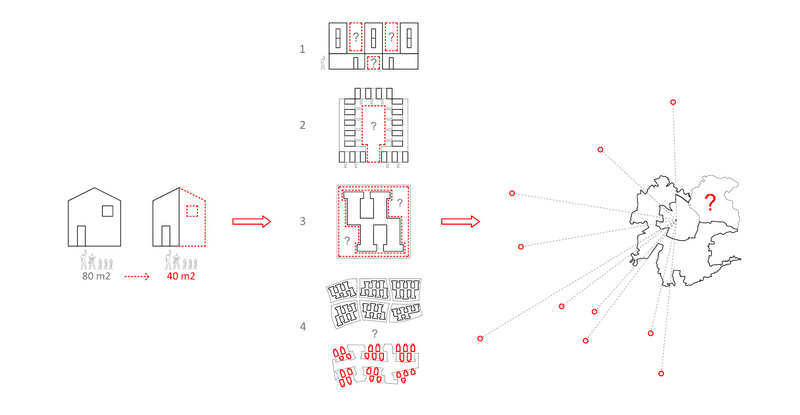 The sum of private clusters lead to another failure at a different scale, the inability to define the urban block. 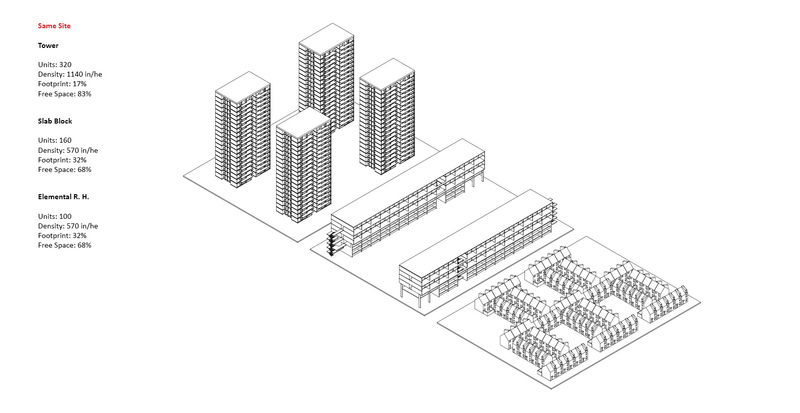 The twisted block form is the manifestation of a simplistic repetition of housing units. Hence, the undefined boundaries give evidence to the free-form configuration of this development, which merely fills in the block in order to maximize the organizational scheme’s plasticity. The motivations of plasticity and filling are also visible at a larger scale through the lack of defining a neighbourhood scale and the absence of public space. 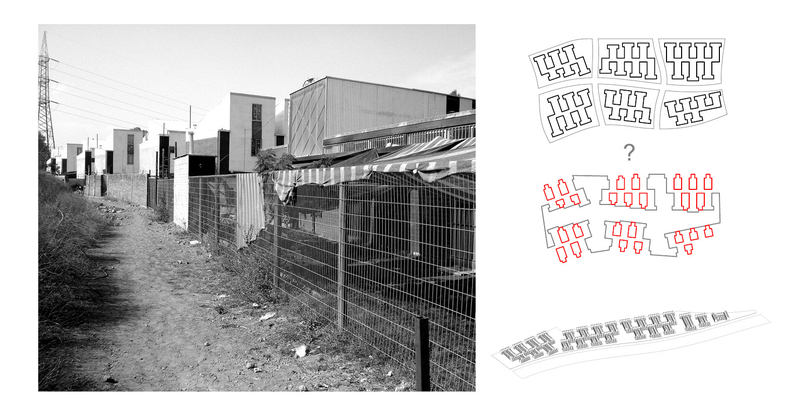 In fact, the only clearly identifiable elements are the private clusters that show a disregard for the idea of streets and public spaces, which are important to establishing an idea of the common. The multi-scalar problems form the main subject of this research, which is concerned with the inability of social housing to create centralities and afford infrastructural well connected sites. It is a critique of Elemental’s solution that insufficiently considers the different urban scales. It will analyse the financial model that is formalized by the half-house strategy. The problem that emerges with Elemental’s economic-typological solution relies on an extremely fragile assumption: that land prices are not going to change. Their design model is based on a rearrangement of previous row housing solutions and is only able to afford sites that mostly have inadequate services and infrastructure. In fact, possible land speculation or merely a rise in the land cost will question their theory of overcoming poverty through social housing ownership, as this housing will be increasingly be located outside of the city and infrastructures. Thus it perpetuates the current housing crisis rather than offering a solution. Addressing the problems of social housing and the scarcity of public funding, Elemental has attempted to redefine housing standards through new concepts of the dwelling unit and the minimum standard. In order to understand the magnitude of this re-conceptualization, it becomes essential to study the relationship between standards and minimum dwelling, but also their relation to policies and implementation. Hence, it is necessary to define two questions. What is the concept of minimum dwelling and what effect does this concept have beyond the dwelling unit? What kind of standards should social housing meet? The concept of the minimum dwelling emerges from the need to provide for a growing amount of worker’s housing and the factual-technical problem of its mass production. With the introduction of this concept in the early twentieth century, a new housing type appears which was meant to guarantee the necessary conditions for a minimum and healthy subsistence. Despite continuous efforts to theoretically define the minimum dwelling, it has remained a problematic and controversial issue. Particularly in developing countries such as Chile, where the lack of social housing provision points to the absence of a welfare state and policies to support low income groups. The challenge to fund social housing and its standard needs to be rethought in order to propose opportunities to integrate it with the thriving parts of Santiago. The current condition of social housing, as well as those described by Teige in 1932, attempts to provide affordable dwellings by reducing floor areas with dwellings totalling around 36 m2, and eventually less. Even worse, the smallest dwelling has already become out-priced to the social housing segment. Consequently, a desirable biological minimum represents a higher standard, which is unachievable for low income groups. A quality ‘minimum dwelling’ is financially impossible for all those who are currently living on the material level of the subsistence minimum. The idea of the ‘subsistence minimum’ is in fact more precisely defined by two limits. The upper one is the real minimum vivendi, which still allows one to survive. The lower one is defined as the modus non moriendi, which does not allow dying of hunger. Thus, the majority of people in need of a minimum dwelling are living closer to the second than the first. 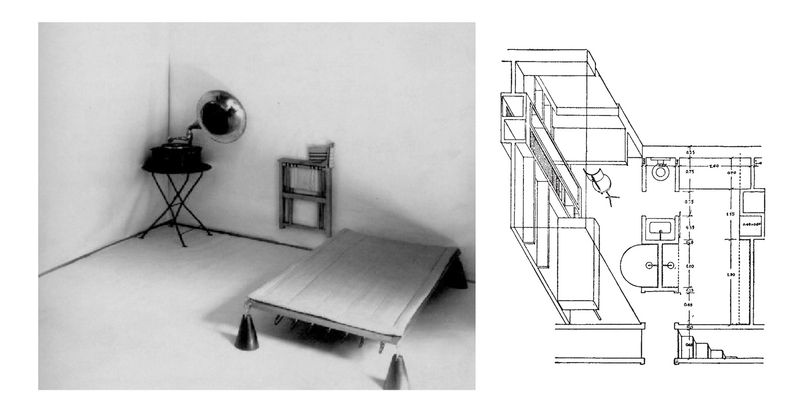 Nevertheless, Karel Teige’s idea of subsistence minimum is not just limited to the provision of an adequate and performative dwelling unit. His concept is rather part of a larger system of relationships, roles, and scales that are essential to recognize and define the problem of minimum dwelling. Instead of conceptualizing it, as many of his contemporaries of architectural modernism (i.e. 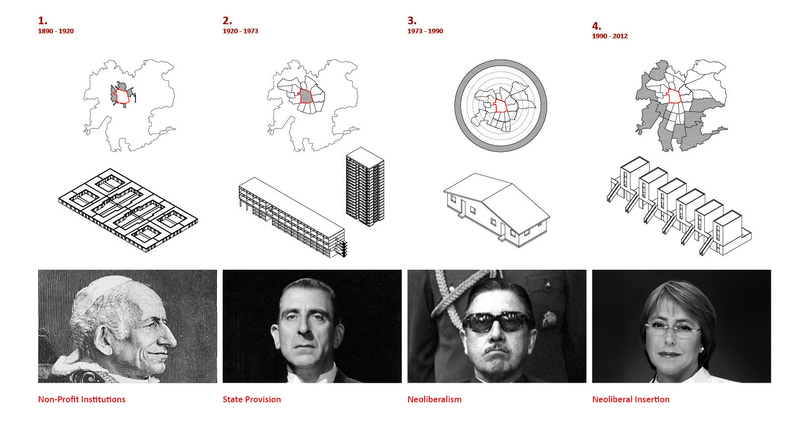 Le Corbusier’s Unite d’Habitation), traduced in the mere production of singular-private entities as a unit to whole exercise, Teige finds in some early Russian socialist housing projects some clues that can help to give a wider and accurate comprehension of the problem of standards and minimum dwelling. He writes, ‘the fundamental question facing the new type of socialist housing is to define the centre of gravity of the dwelling combine: is it represented by the common spaces or by the complex of individual rooms?’ It is apparent that the current social housing in Chile leans towards resolving the second question, which is based on a process of internalization and privatization at the expense or undervaluation of the idea of public space and the city. It reduces and simplifies the problem to a concentration of activities and programmes within the dwelling unit. In contrast, the first question suggested by Teige unfolds the problem of housing and collectivity as a process of the dwelling unit becoming decompressed by the notion of common spaces, externalizing functions and programmes in several spheres (form private to public) and scales. One representative example of the common space model is the RSFSR project of 1929 by the Committee of the Economic Soviet, which in Teige’s words was conceived as a ‘collective house’. The building attempts the embodiment of the city within a large and fragmented architectural artifact through the incorporation of several communal programmes that are associated with domesticity and daily life. The project radicalizes the idea of common space, minimizing and defining private spaces as sleeping cubicles in order to maximize and provide a diversity of communal spaces such as dining hall, club halls, study rooms, library, classrooms, lecture rooms, children’s homes, gym, sports stadium, among others. Despite this example being a typical modernist project, which denatures the very idea of the city, it can be understood as the life itself that emerges from the typical elements of the city and not from an emulation of it through an isolated architectural artifact. 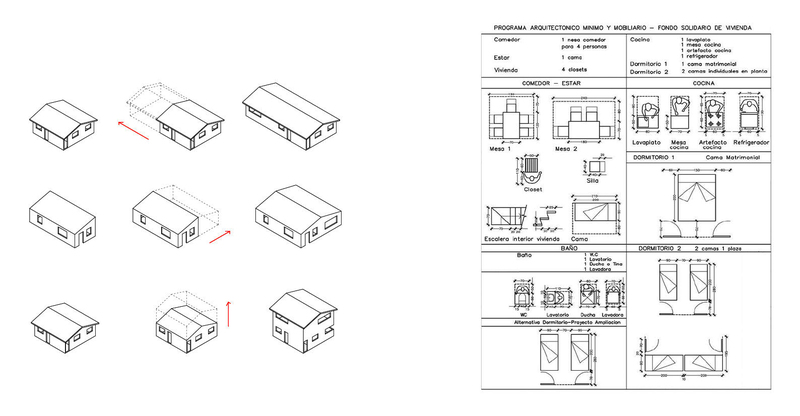 The RSFSR project defines the problem of housing and its standards as a sum of episodes beyond the dwelling unit. 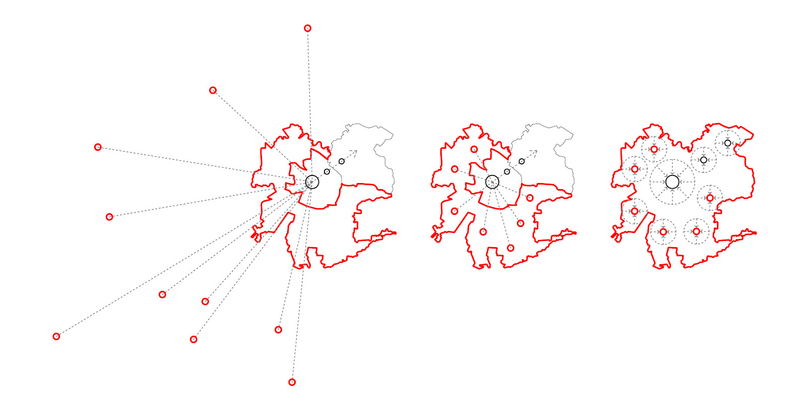 Regarding the idea of the common, the agglomeration of parts and programmes can be seen as an effort to create a sense of centrality. 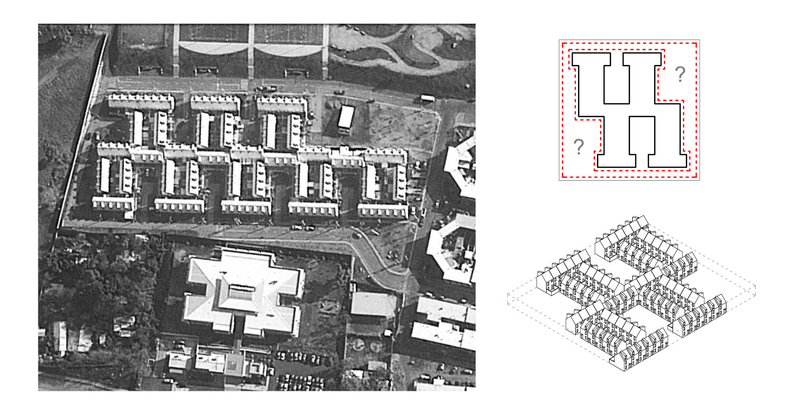 Hence, this architectural example can inspire a new understanding of the current problems of housing, making it possible to raise the following questions: What kind of displacements does this model require in order to rethink the role of social housing within centralities? How is it possible to understand this model not as an isolated artifact, but as an architectural agglomeration of elements and functions within the city? What kind of programmes and standards would enable the decompression of the dwelling unit, a breaking with the extreme logic of privatization and isolation? 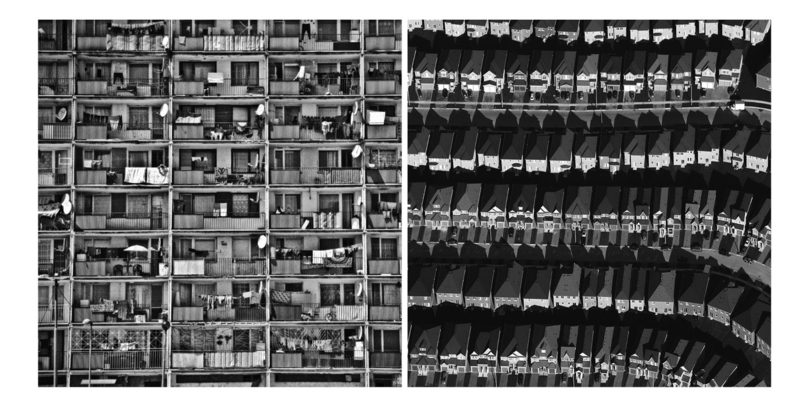 To answer these questions, Karel Teige believes it necessary to make evident the reasons that have led housing to its crisis, which according to him emerges from the political-economic system rooted in the self-regulation of the market and its inability to adequately protect vulnerable socio-economic groups. Thus it is necessary to rethink how to address and reverse the trends of the market and provide a different standard and subsistence minimum that ensures life and not death. Seeking a more equitable system, Teige proposes a complete redistribution of all housing properties – the very idea that miserably failed during the twentieth century. The idea of redistribution was implemented in ex-socialist countries by completely eliminating the effects of the market. In this system, housing is a natural right to healthy, modern, and self-contained housing not a commodity that the state should provide. Consequently, rent does not reflect on housing quality and should be very modest; rent is independent of the rent-paying capacities and the state intervenes to reduce inequalities and create collective ownership. Ironically, the implementation of this housing policy in ex-socialist countries resulted in distinct inequality. The state housing supply was unable to match and define demand according to family sizes, and the absence of the market did not promote increased social mobility and better housing quality, as the system lacked incentives. Opposing the idea of redistribution and following negative experiences with the implementation of public housing estates based on state protection, the United States pursued a different approach. They developed a completely different system in which the private market dominates with little government intervention. Thus, the government plays a marginal role by providing subsidies and economic incentives that pay the difference between the rent that a needy family can afford and the market rent charged by private landlords. However, in spite of the state support, public housing provision failed not as a result of the state provision, but because of the high land costs, real-estate speculation, and the profit maximization by all stakeholders involved in the market-based housing model. This led to the concentration of low income groups in undesirable urban areas. Looking at the failure of the two main models to provide housing, an alternative is needed. This new policy needs to be able to provide more autonomy to the social housing procurement while incorporating virtues of each model. The new model could be conceived as a cooperative system among the different stakeholders, creating incentives (and not merely obligations) in order to develop a more dynamic economic system for the provision of social housing and the construction of new urban centres. Thus an adequate definition of standard needs to consider the different scales that housing should address. The idea of an adequate standards should however not be reduced to a technical solutions or an efficient organizational system limited to the reduction of costs as Elemental proposes. One responsibility that the state should take is to give incentives for better infrastructural locations, which otherwise cannot be afforded by the private market. The creation of incentives to the private market and potential charitable institutions could become a framework to create wider business opportunities and attract private investments. This would not just allow diversification of social housing expenditure, but also a larger budget through which housing can become completely re-strategized. Incorporating economic incentives at several levels can also supply opportunities for low income groups to become economically active and enable a long-term affordable maintenance and upgrading strategy of housing. The effective rethinking of social housing procurement has an inspirational and non-conventional example in the late nineteenth century in Santiago. Inspired by the encyclical Rerum Novarum by Pope Leo XIII in 1891, the Catholic Church organized a collaborative non-profit group of influential people who wanted to increase social awareness and improve physical and moral conditions for the poor. The group understood this as a moral responsibility, believing that the provision of housing was the most powerful way to educate and overcome poverty. Thus, in order to fund the first housing project, the inhabitants rented the houses for a low price during a period of nearly fifteen years, until they became property owners. The project’s intention was not just to overcome the lack of the housing provision, but more importantly aimed to create a new project for the city. According to Rodrigo Hidalgo, ‘what this institution provided were not only private dwellings, but also a particular type, a dwelling programme, a street design, a neighbourhood with defined neighbours, green areas, leisure places, and meeting points; ultimately, what the institution intended to do was rather to provide a certain way of life’. 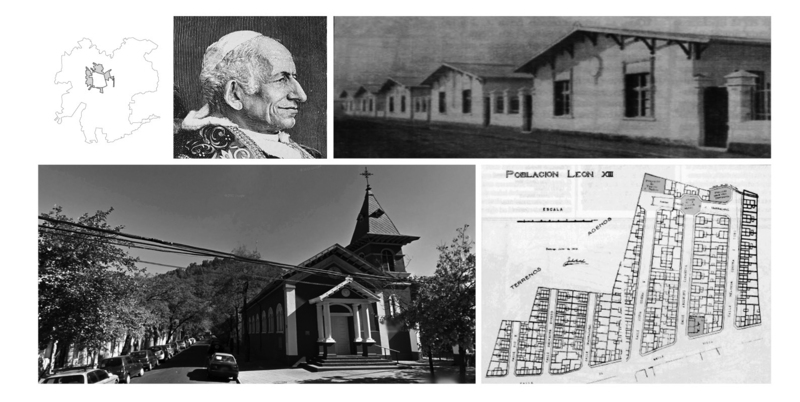 The Catholic Church not only provided housing but also associated programmes (primary school, church, theatre, several oratories, and mausoleum) in order to raise the living standards of the impoverished working class. 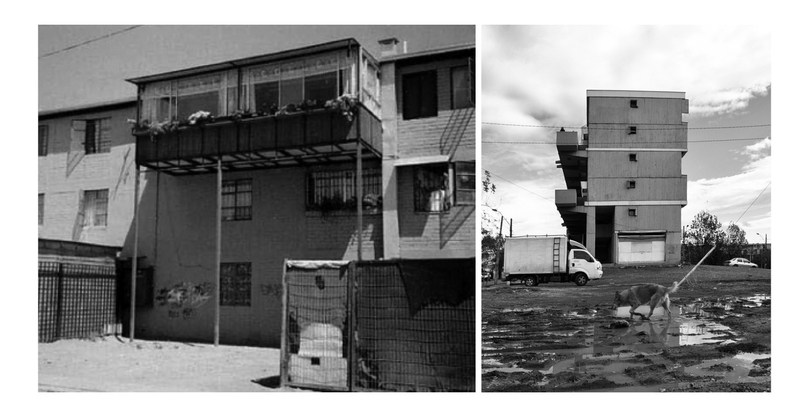 After a decade, this first social housing project led to the creation of Housing Trusts, who support low income groups and act in several points within the new residential periphery of Santiago. These points were conceived as new centralities which provided strategic buildings with the aim of providing social housing and further basic services. Through the collaboration of different non-profit institutions, programmes, and communal open spaces, the Housing Trusts intended to cover several aspects of the working class’s daily life, trying to provide a geographical and cultural identity to their inhabitants. In Hidalgo’s words, the Housing Trusts were ‘real neighbourhoods understood as differentiated units within the city, where the individual dwelling was not any more a mere physical space, being displaced by several motivations and desires transformed in a moral and spiritual space’. The successful non-profit models of the first Catholic Church project and the Housing Trusts created something that in a different and contemporary way needs to be replicated: the emergence of a new social housing policy. In 1906 the state created the first housing policy, the Labour Dwellings Law (Ley de Habitaciones Obreras), which saw the state committing to its responsibility for social housing. Hence, instead of arguing that a new policy could merely provide more funds through the addition of the new stakeholders, what these models suggest is that there are some specific programmes and buildings-types that have the potential of affecting the residential environment by creating new centralities. This is another problem that the research will explore. It finally raises the question: What functions and institutional collaborations could become actors that will establish better social housing procurement and new centralities?